Goa boasts of some mind-blowing luxury villas ranging from beach to beach facing villas, Portuguese style to contemporary villas, secret to romantic villas and more. Our villas are carefully handpicked to provide you high quality accommodation in the tropical land. Bali, the unique land of wonders is a perfect getaway to unwind yourself and cross the boundaries of happiness. We open the gateway to happiness by unlocking the most beautiful villas in Bali that take you closer to paradise. The land of wonders has definitely plenty in store for you. Getting to spend a vacation in Lonavala is definitely exciting. The deep valleys, curved pathways, trailing waters and exotic flora refresh you and lift your moods instantly. We offer villas that allow you to capture the essence of the hill station and give you splendid memories of your holiday. Ooty cottages boast of the rich British culture and holds on to the antique touch to give our guests an unforgettable experience. 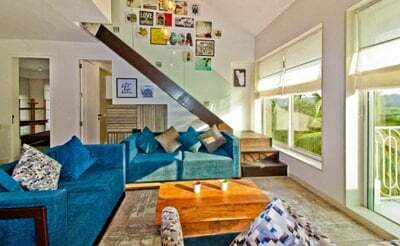 Our cottages make you travel in time and offer you a luxury life of both the worlds. After all you do deserve a luxury cottage stay while holidaying isn’t it? Coorg, the hill station in Karnataka never fails to impress each time you visit the place. And we make sure we never fail to impress you with our first-in-class resorts that carry a special charm. Each of our resorts comes with all the luxury amenities, making you live the King’s life while on a vacation. 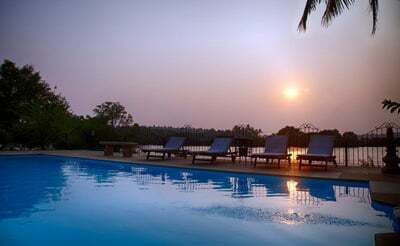 Our resorts in Kabini offer you fine accommodation in the lap of nature. Although close to nature, you are sure to enjoy the cozy interiors and modern amenities. The resort leaves you awestruck as it offers a tranquil environment, making sure not to spoil the wildlife habitat. Refresh, relax and rejuvenate at one of the resorts in Mudumalai with your group of family and friends. Get to experience a modern way of living staying close to the wilderness. If you are lucky, you might encounter some wild animal lurking in the wilderness from the comfort of your bedrooms. 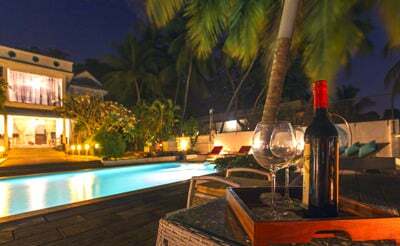 Book Luxury Villas and Villas with Private Pool in GOA Enjoy magnificent surroundings with a high quality accommodation that you choose from. Our properties are handpicked and customised for anyone looking for luxury Holiday. The Best Luxury Villas in NorthGoa, are all handpicked by our experts to suit the comfort you desire for. 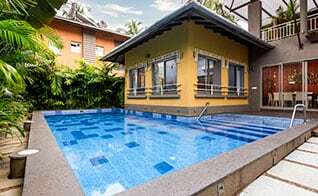 We have a collection of over 60+ luxurious Private Pool Goa Villas situated all across the prime areas such as Candolim, Calangute, Baga, Anjuna, Vagator, Nerul, Reis Magos,and Assagaon. You can choose to stay in a Busy Street Villa or a Villa in the interiors, at Luxurystays we have villas to suit your tastebuds. Rent a Portuguese Villa, Beach Villa, Sea Facing Villa, Villa to Party what ever you feel is good for your vacation. 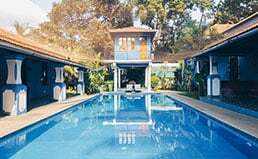 All our villas in Goa for rent are fully equipped with the modern amenities and comes with Power back up, Music system, private cook hire and all the luxuries one could desire for in a villa in North Goa. All the Villas and resorts have been hanpicked and examined to make sure your stay is just a perfect Holiday. 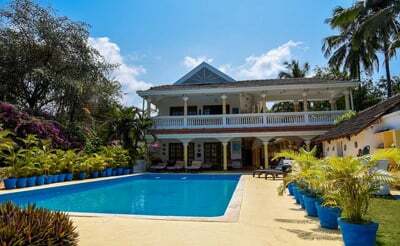 Luxury villas in Goa, offer you a lively place to stay in this tourist destination buzzing with people from different countries, origin and culture. It offers you a perfect getaway from your busy life. Thanks to the hotels that are overbooked with limited or no privacy for you and your family. 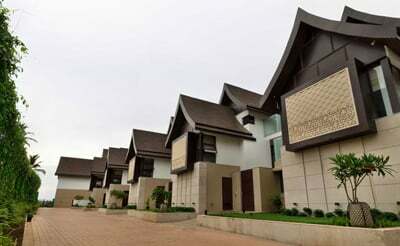 Living the royal life in a holiday outlet can only be with the luxury Goa villas. 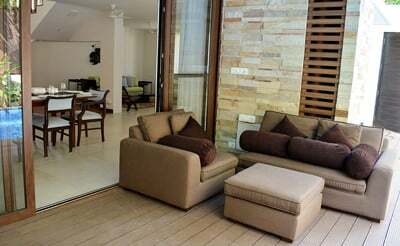 The luxury villas in Goa welcome you like a royalty giving you the much needed private, secluded and quiet villa. 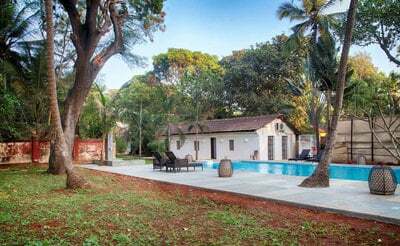 Most of the villas in Goa have a vintage Portuguese touch yet tweaked to fit in with the modern advancements. The fully furnished villa with state of the art furnitures, right interiors and lovely arts on the wall instantly refresh your mind and keeps you comfy. Cosmetic upgrades never fail to impress you. 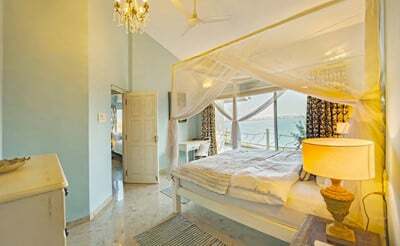 Goa villas offer you individual bedrooms that are fully furnished with King size beds, wardrobes, elegant furnitures, clean linen and ensuite bathrooms. A single bedroom villa is perfect for a honeymoon couple who can celebrate their life together in solace. A double bedroom villa is perfect for a small nuclear family that wishes to spend solid time along with the family in a quiet and friendly neighbourhood. 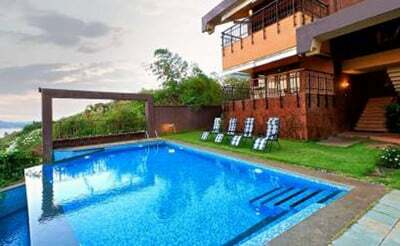 Luxury villas in Goa also offer 4 bedrooms and above that will accommodate your entire family. Are you travelling with your friends? 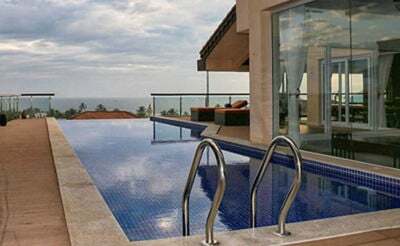 Luxury villas in North Goa offer you villas to suit your individual needs. The entire villa is kept clean with housekeeping at your call.The living room with television screens and elegant furnitures will accommodate your entire family/Group for a memorable time or a fun chat. Kitchen that is fully equipped can be self catered or you can hire a private chef on demand to cook you meals suiting your taste buds. Non stop power backup, parking area, and housekeeping at your call will keep you tension free while you are holidaying. Luxury villas in Goa come with a lush green private garden with garden chairs, letting you enjoy a beautiful evening in the gentle tropical breeze. A private pool with clean, fresh water for your family along with cabana and an open air jacuzzi that helps you to relax your mind and body. To top it all you have all the top notch destinations in Goa, close to the villa.An evening relaxed walk to the each from your luxury villa to enjoy the beautiful sunset along with your family is worth remembering your entire lifetime. 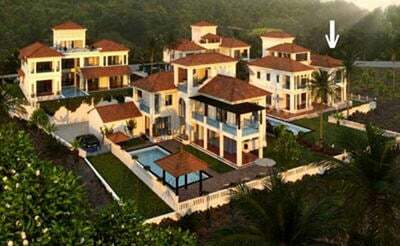 Luxury Stays, a unit of Spherical Getaways that offers a wide selection of Luxury villas in Goa for rent, ideal for a short span of vacation with family and friends. All our villas in Goa come with a private swimming pool and house-keeping and care taker services at our villas are complimentary . Our villas are mostly in popular locations such as Anjuna, Baga, Calangute, Candolim, Vagator – check out our goa villas list to find your best suited villa vacation. At Luxury Stays,we succeed at assisting you get your best luxury stay during your holiday. Not just any accommodation , but extraordinary high quality properties packed with impressive and life-enriching memories. Our Luxury Private Villas are hand-picked and fully serviced with designated managers for each client. We believe in renting out villas in Goa or Cottages in Ooty is for groups who bond together and want privacy. Our Luxury Villas in Goa come with a private swimming pool and a small Garden space. The core being giving the end user the best of the luxury villas experience, right from butler services to bed tea is what we offer. All you need to do is to call us to book your luxury stay with us be in anywhere in India and give the requirements. Right from your pick up till your drop to the airport we are here to host you. All our villas in Goa are self catering so you can just wake up and cook something for yourself or we could help you hire a cook. 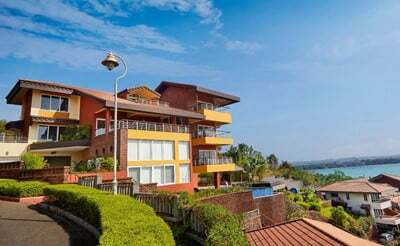 At our Villas in Goa for rent you can tell us if you want us to pre-stock groceries and other things or want a vehicle on hire your designated villa manager will be able to organize that at MRP. All the villas are in min proximity to the beach, We also have beach villas. Spacious Rooms, fully air conditioned and fully furnished. Close to all the cafe,beach shacks,clubs,nightlife.